Fang Bo threw the World rankings into the bin and beat much more famous names to wrest the Austrian Open Table Tennis title at Wels, Austria. 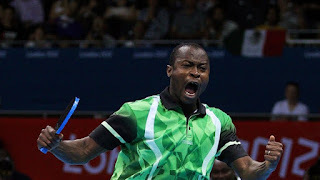 In the finals, he beat Hao Shuai 11-8, 9-11, 2-11, 11-6, 11-8, and 11-8. Fang made his intentions clear when he won the first set and made a good start in the contest, eventually winning it 11-8. The highlight of this game was Fang Bo's return of service - backhand open with topspin even from the right hand corner. Hao Shuai retaliated by winning the second 11-9, thus tying the match at 1-1. Shuai seemed to nail home the point that he is the more experienced by hammering the youngster 11-2. However, the determined Fang Bo, who has created waves in the last 2-3 years, did not give up, he won the next set 11-6 and tied the match 2-2, thus promising exciting fare in the games to come. Shuai battled and tried to make a mark in the fifth game, but by now Fang Bo had not only overcome nerves in such an important final as the World Tour Table Tennis tournament, but he also found a consistent rhythm. Fang won it 11-8. Just when it appeared that Hao Shuai will make a mighty attempt to tie the match at 3-3, Fang played with maturity to end the match at 4-2 and not let it slip into a decider, where experience would have been a factor. Incidentally, Hao Shuai, who is one of the main players in the second rung Chinese line-up, beat giant killer Taku Takakiwa effortlessly, 4-0. Takakiwa had beaten World and Olympic Champion Zhang Jike in the previous round. Fang Bo had beaten seasoned Chuang Chih-Yuan in five sets for a facile victory in the semi-finals 12-10,11-6,11-13,11-3,11-5. Fang lost just one set, that too in a deuce game against the top 10 ranked Chuang. The World and Olympic Champion, Zhang Jike of China was sensationally beaten by the much lesser known Taku Takakiwa in the Quarterfinals at the Austrian Open at Wels. Takakiwa won 10-12, 11-9, 6-11, 8-11, 12-10, 11-7, 13-11. Zhang Jike seemed to be complacent even in the later stages of this match. You may recall that he already faced serious problems against Takakiwa's team-mate, Kenta Matsudaira, where it took him a decider to win. No doubt that Takakiwa took some useful notes from that match. The Japanese player is a regular on the World Tour circut, but had nothing better than a semi-final showing in earlier World Tour or Pro Tour Table Tennis events. He employed a mix of unconventional blocks, loops, and aggression to win and reach the semi-finals, where he takes on another Chinese, Hao Shuai. Shuai has done very well this season internationally and also in the Chinese Table Tennis league. In the other semi-final, second seed Chuang Chih-Yuan plays Chinese young talent Fang Bo, who has been given an opportunity to prove his mettle on the international circuit. 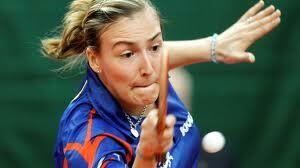 The English and Spanish Women's teams square off at Gateshead in the qualification tie for the European championships. Kelly Sibley, Joanna Parker, Hannah Hicks (Coach Alan cooke), are expected to take on Shen Yanfei, Sara Ramirez and Galia Dvorak. 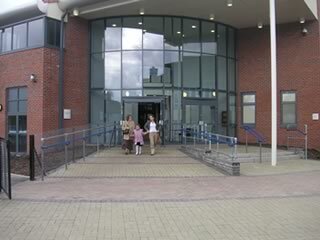 The venue is the Gateshead Leisure Centre and the date is 29 January. There are concessions on the ticket price for kids and for those over 60. The second edition of SPiN Vail will be held at the popular Colorado ski resort this Saturday. Anyone can participate. 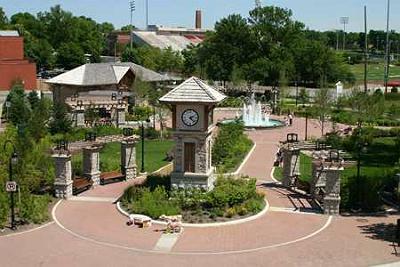 This year, the organizers have promised that the participants will get more time on the table compared to last year. The tournament is a fund raiser for Vail Symposium. The tournament will have competitions in both singles and doubles and matches will be best of threes and then followed by round robin style of play. The tournament promises good prizes for winners. 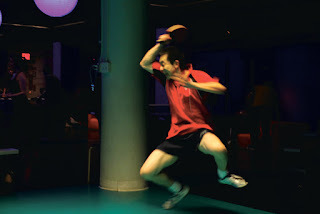 SPiN Vail is modeled after SPiN Galactic, a chain of social Table Tennis clubs, where people meet, socialize, and play. 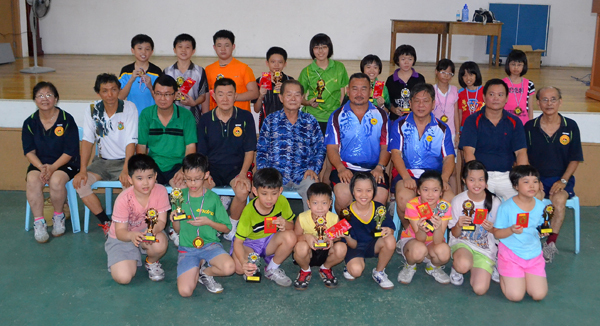 Temenggong Vincent Lau, the President of the Sibu Ping Pong Association is egging youngsters to put in more hard work and innovation to improve at Table Tennis. It can be recalled that the Sibu team won 3 golds and Kuching won 15 golds at the State Championships. Mr. Lau said that they are trying to find a Chinese Table Tennis coach, but he emphasized that youngsters themselves should try to find solutions on their own. Dr Clement Ting lauded players who also did well in academics. 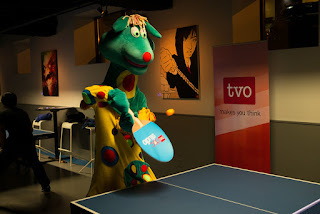 The spectacular and enigmatic Polkaroo was seen at a challenge playing Table Tennis! An action photo of a Paralympic Table Tennis player. The Table Tennis Federation of India supported it's President and Haryana MLA, Ajay Chautala, who was sentenced by a CBI court for 10 years imprisonment. The court ruled that Chautala was involved in a teacher's recruitment scam. The federation said that Chautala did not plan to stand for re-election. TTFI has recently amended their constitution to adhere to the Sports Code by its Ministry. Note: This information was retrieved in January 2013. There are no dates on the Web site. Please contact editor@tabletennisbug.com for latest information. 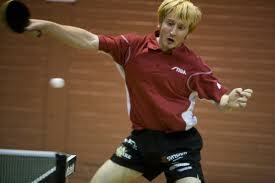 The ITTF World Tour Austrian Open Major Series starts at Wels, Austria and will run from Jan 23 to Jan 27. The top seed is World and Olympic Champion Zhang Jike. 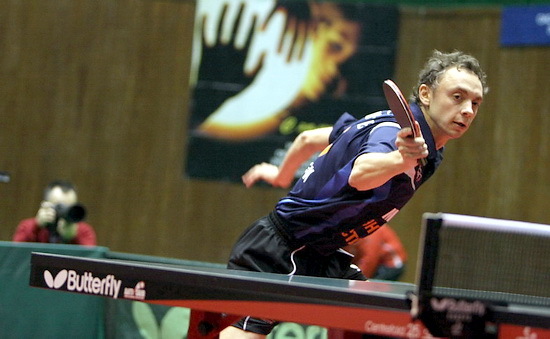 Chuang Chih Yuan is the second after many Table Tennis stars withdrew. The Williams sisters are increasingly in the spot light playing not Lawn Tennis, but Table Tennis! You can also watch them playing in an IPhone ad. Quite awesome! Watch this amazing video of a cat playing Table Tennis on Youtube by sugarvirals. Anirban Ghosh and Sagarika Mukherjee won the Sub junior boys and girls titles at the Cadet and Sub Junior National Championships at Gandhidham. 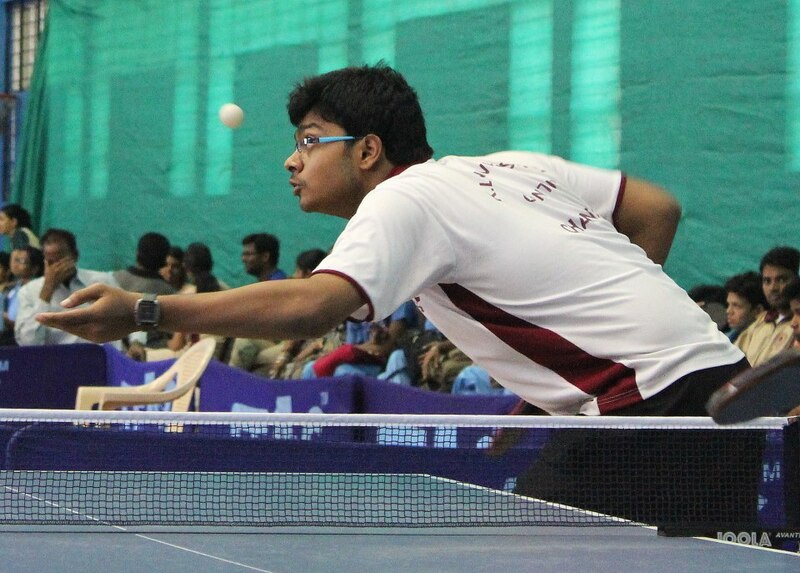 Anirban beat Arjun Ghosh 4-0 while Sagarika beat Harsha Vardhini 4-1 in the finals. Earlier, Ashwin Subramanian and Prapti Sen won the Cadet Boys and Girls titles. 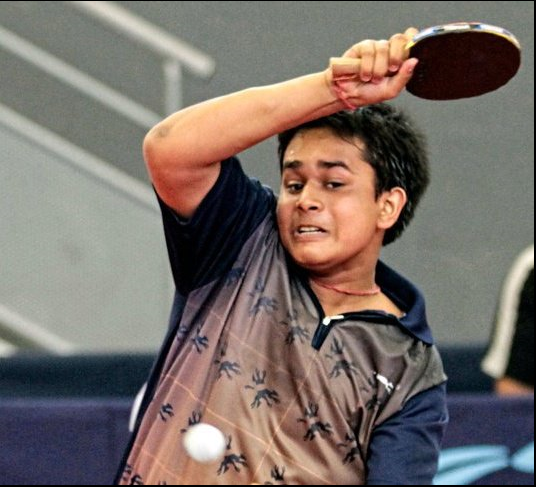 It is worth noting that Anirban Ghosh upset many senior players and actually reached the semi-finals of a Zonal national level Table Tennis tournament. Welling School, Elsa Road, Greater London, UK and Rushcroft Sports College have received quality Table Tennis tables from Jack Petchey Foundation and the England Table Tennis Association. The school and College students have taken to the game in a big way as a result of this. 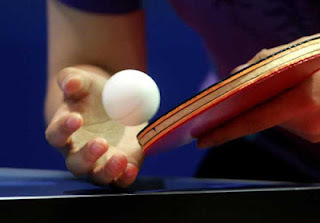 The London Olympics has already created excitement and Table Tennis was one of the most popular sports at the games. Students compete among themselves and with other clubs and do not shy away from even challenging their teachers! Oakley B beat Aldworth D 9-1 in the Basingstoke District Table Tennis league division three as Dave Smith won all his three matches while dropping only a single game. Simon Parker won the only match for Aldworth. He beat Ron Draper 3-1. Oakley now lead KG C by eight points and have a game to play. KG C beat Queens I 8-2 and AWE B beat Queens H.
World No. 10 Table Tennis player, Jun Mizutani from Japan has raised a protest against modern rubber boosters and is refusing to play World Tour (formerly Pro Tour) tournaments. He said he will continue to avoid such tournaments until the World Table Tennis body, ITTF introduces stricter controls against boosters. Speed glue was banned a few years ago, but boosters are increasingly being employed by top players. 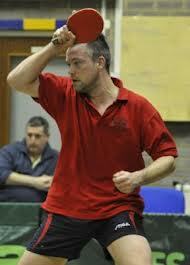 West of Scotland Open Table Tennis tournament from Saturday, 26 January 2013 to Sunday, 27 January 2013. 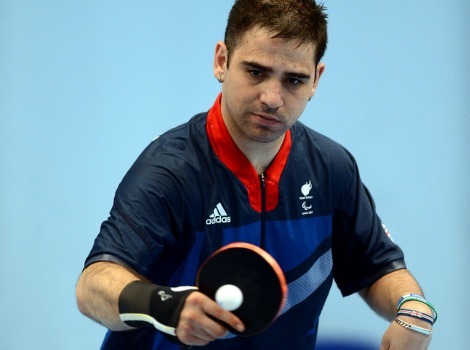 Cazuo Matsumoto of Brazil beat Christophe Legout of France 11-7, 11-6, 11-9, 8-11, 11-5 to win the Spanish Leg of the World Tour Table Tennis tournaments. The top seed of the tournament was 50 year old He Zhi Wen. The tournament was held at Almeria, Spain. The Toyin Okenla-Ojeaga Junior Table Tennis Championship started last weekend. Six education districts are participating. The Lagos State Ministry of Youth, Sports and Social Development is supporting the event and Wahid Oshodi is the frontman for them. John Peters is the Technical Director of the tournament. 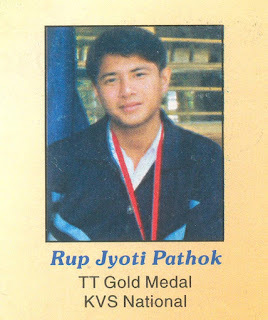 Rup Jyoti Pathak is a Gold medal winner at the KVS National level. He is from Sivasagar, Assam. The yearly Naperville Table Tennis tournament, which will be sponsored by Naperville Park District and the Naperville Table Tennis club, takes place on 26th January, 2013. 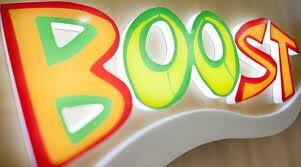 Prizes will be awarded for best children, adults, and seniors. 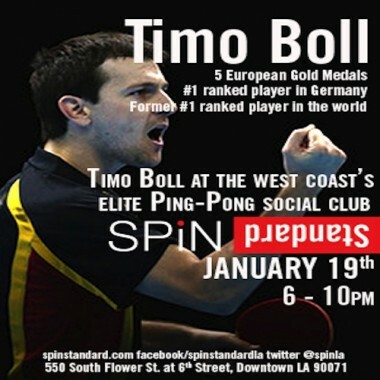 Table Tennis Super Star Timo Boll of Germany will be at SPiN LA on 19th from 6PM to 10PM! 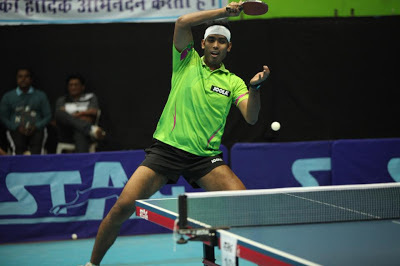 Service action of Chandrasekhar Malladi, a Table Tennis player from Vijayawada, Andhra Pradesh, India. Lupulesku is the top rated American Ping Pong player. He has played in 5 Olympics. In it's quest to develop relations with the fast growing China, Dubai has announced that it will sponsor the Chinese National Table Tennis team. It hopes that this will bring Dubai and China closer and will allow both parties to explore opportunities. Mattar Al Tayer, Vice Chairman of Dubai Sports Council met Chinese Table Tennis officials in Beijing and finalized the deal. The Chinese star players will wear clothing with Dubai's name on it. Considering the fact that millions of people watch major Table Tennis matches in China and around the world, the move seems to be a very smart one. 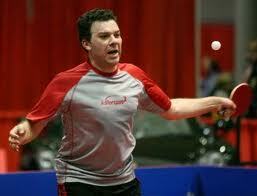 Table Tennis also features prominently on various prime time slots around the world. Table Tennis, also called Ping Pong is a major sport in China and has a huge fan following. Currently, the top 4 ranked players in the World are all Chinese. 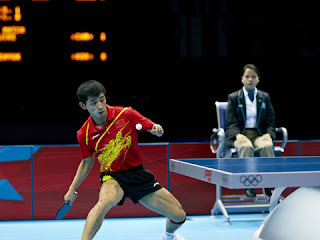 When Dubai hosted a Pro Tour Table Tennis event in 2011, several of the top Chinese players, such as Ma Long, Ma Lin, Wang Hao, Wang Liqin participated. 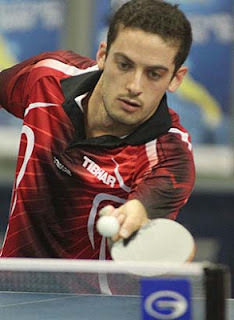 The same was the case at the World Team Table Tennis Cup in 2011. Cai Zhenhua, Deputy Minister of the General Administration of Sports, China, met with Dubai’s delegates at the State’s General Administration of Sports and expressed hope that the agreement between the Chinese Table Tennis Association and the Government of Dubai will strengthen relations between the two parties. John Ferguson, Chairman of Falcon and Associates, who facilitated the meeting reportedly said that Dubai's support of Table Tennis, a very important cultural factor, will go a long way in improving business and cultural ties. It is fascinating to note that in 2011, hundreds of thousands of Chinese tourists visited Dubai. Also, Dubai has a significant population of people with Chinese origin. China is Dubai's 2nd largest trading partner. 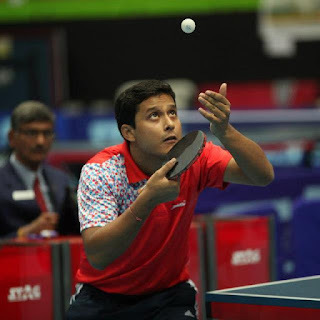 Sougata Sarkar's greatest claim to fame is his great fight against Sharath Kamal who was at that time ranked in the top 50 in the world's Table Tennis elite. Sougata was leading 7-5 in the deciding game, but nerves cost him dear and he lost the match. The tournament was the 40th Inter Institutional Table Tennis tournament at Ajmer. 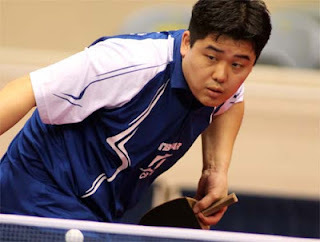 Maxim Shmyrev finished well ahead of many professional Table Tennis players to win the World Championship of Ping Pong tournament recently held at Alexandra Palace. He won $ 20,000 out of a total purse of $100,000. The tournament is a bit different from the traditional Table Tennis tournaments in that a sand paper bat is used to play instead of sponge laden bats! The event was extensively covered by Fox Sports in the USA and by Sky Sports in the UK. 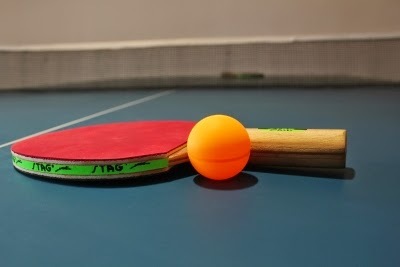 A social and friendly Table Tennis club has been started at the Werrigton Leisure Centre where you can make friends and play as competitively as you wish. The advantage of this club is that you can find players most times. A nominal fee needs to be paid to play for an hour or two. No prior booking is required. 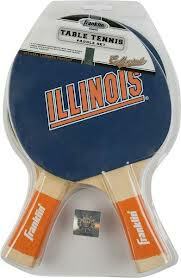 Send email to editor@tabletennisbug.com for more information. 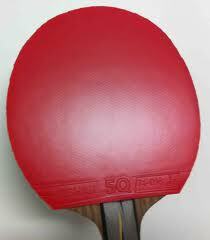 Table Tennis enthusiasts at Newton Poppleford in Devon, UK are looking for a table to start a new club. You may either contribute with a donation or arrange for a used table, which they are willing to buy at a reduced price. In the National Championships held at Raipur, Soumyajit and Shamini respectively beat Sharath Kamal and Poulomi Ghatak respectively to win the National Championship. Soumyajit beat Sharath Kamal 4 - 2 (-3,5,-5,8,6,7), while Shamini upset a slightly off-colour Poloumi Ghatak 4 - 3 (-9, 10, 10, -9, -6, 8, 3). 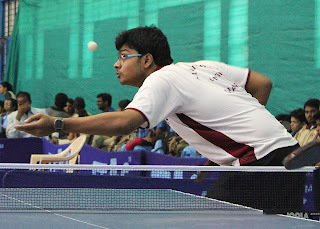 Sathiyan and Sourav Chakraborty were crowned the Men's doubles champions, while the young pair of K Spoorthy and Nikhat Banu won the Women's doubles. The Mixed doubles title was surprisingly claimed by Utkarsh Gupta and Manika Batra, both Juniors. 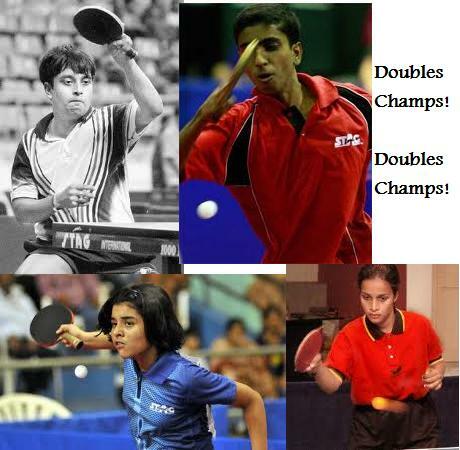 Congratulations to Nikhat Banu, Karnam Spoorthy Karnam for Women's Doubles National Table Tennis title and Sourav Chakraborty and Sathiyan Gnanasekaran for Men's doubles National crown! Delhi girls bagged the prestigious Jayalakshmi cup at the National Table Tennis Championships being played at Raipur. They upset favourites, PSPB 3-1 to win the title. Manika Batra played brilliantly to beat both Olympian, Ankita Das and Pooja S, while Neha Agarwal continued her superb form with a win over Ankita. PSPB (Petroleum Sports Promotion Board easily won the Men's title 3-0. Soumyajit Ghosh and Sanil Shetty are seeded No. 1 and 2 in the Men's National Table Tennis Championships. Harmeet Desai and Soumyadeep Roy are in 3-4. The increasing depth of the quality of Table Tennis is evident from the 5-8 seedings, where Sharath Kamal and defending National Champion, A Amalraj are placed along with Subhajit Saha and Jubin Kumar. One reason for Sharath and Amalraj's lower seeding is that they are unable to participate in all domestic tournaments due to their overseas commitments. Delhi women's team led by International and Olympian Neha Agarwal, beat defending champions Maharashtra A in a thrilling match to march on to the finals. Neha was ably assisted by Manika Batra, who had earlier put up a sterling performance against West Bengal. Delhi won 3-2. In the other semi-finals, PSPB beat Tamil Nadu 3-0. PSPB is on track to retain the title that they lost to Maharashtra A in the last nationals. 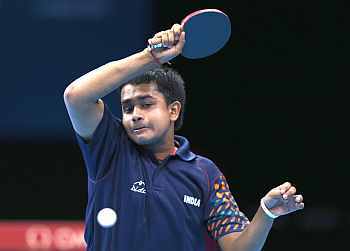 In the Men's singles, the world class team of PSPB reached the finals in commanding fashion by beating Haryana 3-0. Haryana, led by experienced Rajiv Ghai made history winning a medal in the nationals, so it was a good ending for them. Women: Semi-finals: PSPB bt Tamil Nadu 3-0, Delhi bt Maharashtra A 3-2. A Ping Pong or a Table Tennis Strategy is an overall plan on how you must play against a particular opponent under specific conditions. This must not be confused with Ping Pong or Table Tennis tactics, which are much more detailed means of achieving the end goal, which is detailed by the Ping Pong strategy. If you do not go to a match with a strategy, you are battling against yourself. When you watch World Class players, you probably feel that they are just trying to hit hard all the time, and there is no match strategy. Well, this observation cannot be too far from the truth. It is a well known fact that the Chinese trainers and coaches dissect their opponents' game to such an extent, that a detailed strategy is made sometimes months before an important competition. On the other hand, weaker players watch the top players and they themselves are unknown to the stronger players, which can be an advantage. For example, an almost unknown player, Kiril Skachkov, kept attacking Ma Lin's forehand (which everyone assumed was a huge weapon) with a backhand topspin down the line. Ma Lin could not adjust to this strategy and ended up with an embarrassing loss. This example shows that if you study your opponent's weakness, you can tackle players much stronger than you. 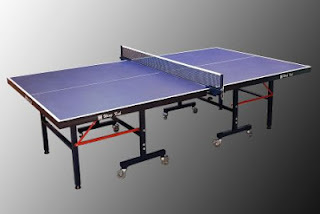 A Ping Pong (formal name of the sport is Table Tennis) strategy must be designed to use your own strengths or advantages, while minimizing deployment of your weaknesses and at the same time, exploit the weaknesses of your opponent. How is this done? Well, have you seen older players effortlessly beat back younger players when they don't even seem to have the right technique? How do they do it? Well, they are devising strategies even when they are warming up against an opponent they've just met. Measuring up the players strength and identifying weaknesses is a learned art for such old or experienced players. They make mental notes and execute them to the T, earning points in a bunch. Even after a match has started, their brain does not stop ticking, and they keep adding points to their mental notebook. The points that experienced players observe are not only technical, but also can be behavioral. For example, is my opponent over-confident? is he nervous? giving too much respect? agitated? The strategy is then deployed and more often than not, success is achieved. Focus on returning serve well, and only on service practice. Get hold of a trainer or a good server and practice. Try to incorporate the latest technology. For example, the backhand topspin return of services even from the forehand side. For example, Zhang Jike does it persistently. This is not an easy stroke, you need to keep working at it. Other service return methods is quick turn and forehand topspin hits for anything that is likely to come outside the table. Again, this is to be practiced before putting into play more often. Service Practice - Spend at least 1-2 sessions a week during season and at least one session in 2 weeks during off season serving. Try to add at least one new service every 3-4 months, drop ineffective serves and use successful ones more often. Do not touch your 3-4 core servies though. Read the spin on the ball well. This is highly underrated and more often than not, the leading cause for losing matches. 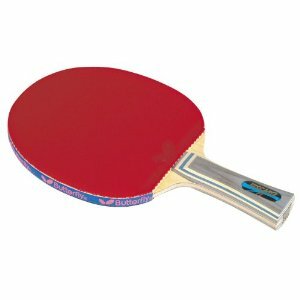 This weakness is most often found in new players or players who do not train with professional or semi-professional Table Tennis players. It is very common to find players hitting blocks out of the table again and again without getting a clue as to why this is happening. Experienced players know that blocking high spun balls is easy only if the wrist is firm and there is no movement of your hand while making contact with the ball. To improve reading of spin on the ball, paint the ball in a pattern, which can be observed even when the ball is moving and spinning. Many trainers use this method to teach their young players to spot the spin. Example: Player A is aggressive, hits excellent 3rd ball attacks, is impatient, does not like to engage in lengthy rallies. His backhand is relatively weak, and he is turning even from his backhand to hit forehand strokes. 1) Receive Player A's serve deep, blunt out 3rd ball attack as much as possible. If possible, place the return near the net to extreme backhand, where it is suicidal to turn and hit the ball. If Player A does hit such a ball, be fully ready for a block and place it to the far side of Player A's forehand. If Player A does reach the ball, it is likely to be a lob or a pop, easy to finish. 2) Slow down rallies by receiving short, at times, block multiple balls to show your control over his attack (assuming your blocking is good). Try to push the ball 3 to 4 times, by which time, the aggressive Player A is likely to hit a desperate shot more often than not. 3) If you find that you are in good nick on that day (sometimes it shows even in practice while knocking before the match or early in the match), then launch your own attack and put Player A in defensive mode. Note that the strategy for hardbat or sandpaper Ping Pong differs a bit compared to a faster, pips-in kind of Table Tennis. The spin on the ball in this case is hardly evident in this case. 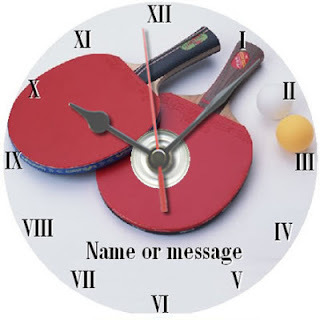 Usually, strategy for hardbat Table Tennis takes a lot of time, which is why you see very old players succeeding and beating younger players handily. 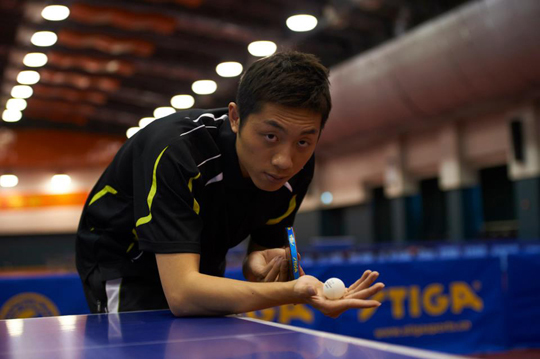 Charismatic left-handed Chinese Table Tennis player, Xu Xin is the new World No. 1 in Table Tennis. 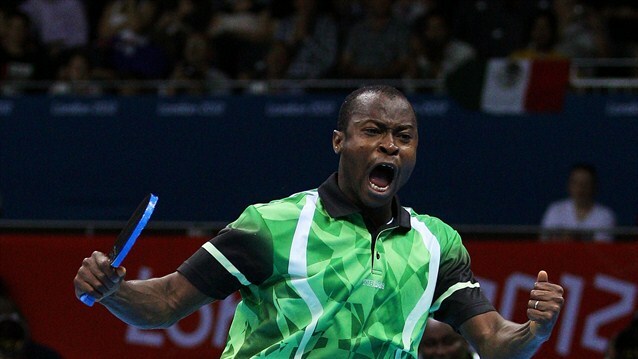 He has leaped places to occupy the pride of place in the January World Table Tennis Ranking list published by ITTF. Xu won many points by taking the Grand Finals title and also earned handsome bonus points, without which it would not have been possible to overtake the World and Olympic Table Tennis Champion, Zhang Jike. It may be recalled that Xu Xin attended the London Olympics, but only as a P-card holder. His results seemed subdued just before and after the Olympics, probably partly due to the disappointment of not being chosen in the core team (eventually Zhang Jike, Wang Hao, and Ma Long). However, the spectacular event seemed to have done good to his motivation and he is now back in action. Critics attribute his recent success to playing more near the table. He beat veteran Wang Hao in the Grand Finals. Xu Xin's best performances so far have been the World Tour (formerly called Pro Tour) events, where he has already amassed titles and is closing in on the round number 10. 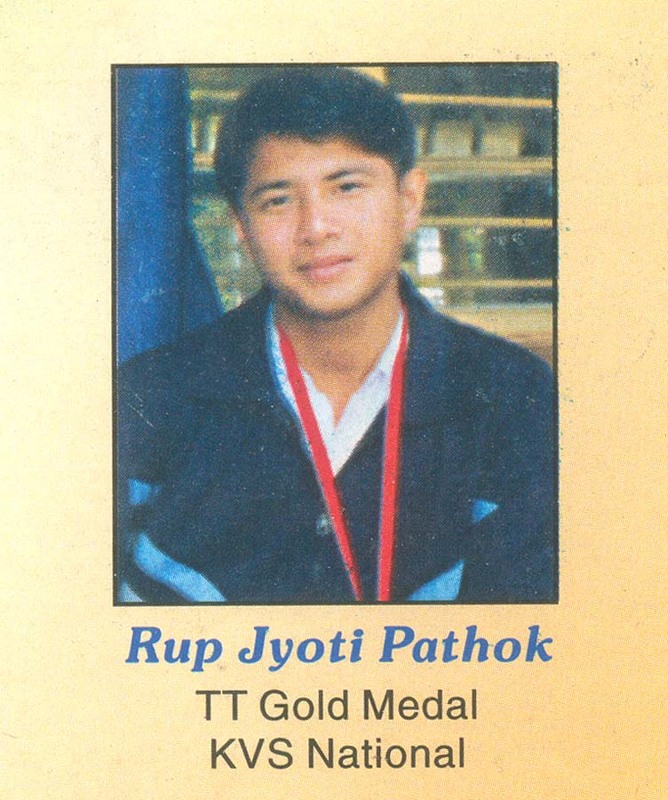 Other than this, he has Gold medals in the Team and Doubles at the World Championship level. Yes, stylish indeed! He reportedly uses a Stiga Rosewood as his blade and Stiga Calibra LT for his backhand and DHS Neo Skyline TG3 for his forehand. Xu Xin (was born in Jiangsu, China on January 8, 1990. Although he is just 23 years old, he has spent considerable time in the Chinese squad. Indian National Table Tennis Championships at Raipur starts today. The 74th Senior National Table Tennis Championships start at the Balbir Singh Juneja Indoor Stadium, Raipur. The Championships run from 7 to 12 January 2013. PSPB and Maharashtra are the top seeds in the Men's and Team events. PSPB will fight hard to get back the Women's title, while it will be a great surprise if anyone is able to even give a semblance of a fight to the PSPB men. The star players will be Poulomi Ghatak, K Shamini, Ankita Das, Madhurika Patkar, Pooja Sahasrabudhe, Divya Deshpande, Mamta Prabhu, Sharath Kamal, A Amalraj, Soumyajit Ghosh, Sanil Shetty, Soumyadeep Roy, G Sathiyan, Subhajit Saha, and Sourav Chakraborty. Send friend request to "Menas Jagadish" on Facebook and get latest updates. In the end, Timo Boll deliberately served on the wrong side and gave a point away. In a way, ended the controversy. This was not a heated argument because it was a friendly match (China vs World). Loved how Timo was smiling throughout. Ma Lin is fiercely competitive even in a friendly, that's how he is and its fantastic too. Ovtcharov was searching for the truth. All in all, personality traits coming out in a single point. Interesting to watch. Excuse the not so good audio. Religion won over sport when Estee Ackerman refused to play her Table Tennis match on a Friday night. The event was the US Table Tennis Nationals. The Jewish girl feels that her religion, Judaism is also very important. Estee is ranked fourth in her age group in the US. She aims at winning a medal at the Olympics sometime in the future. Swansea Table Tennis is on the right path! 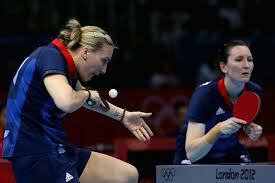 Table Tennis has lost a bit of support from UK sport as players prepare for the 2016 Olympic games at Rio de Janerio. Other sports that suffered are Basketball and Wrestling. The big gainers in percentage terms were Boxing, and Gymnastics. Rowing received the highest funding followed by Cycling, and Athletics. Since UK Sport funds athletes who are likely to win medals and there was sharp focus on Table Tennis players' performance, it is not surprisingly that they took this decision. Here's hoping that the younger players prove their detractors wrong, work hard and get into medal contention at least for 2020. Sunny Deol, who is struggling recently with injuries, has found an innovative way to stay fit- by playing Table Tennis. Since he needs to avoid heavy weight lifting to avoid any danger to his back, he is indulging in bouts of Ping Pong after his regular gym workout. A special room kitted with all Table Tennis amenities has been set up for him. 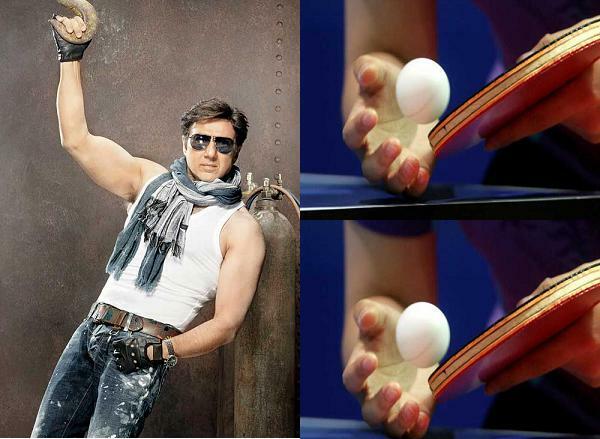 It is rumoured that daddy Dharam ji is also a decent badminton and Table Tennis player too. Here's Shahid Kapoor and Pankaj Kapur also playing Table Tennis. 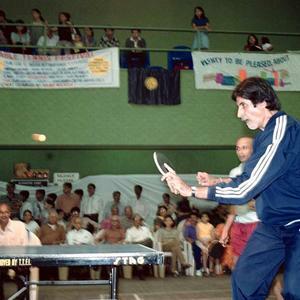 Many Bollywood stars, including Amitabh Bacchhan, Chitrangada Singh, Arjun Rampal, and others play Table Tennis. Happy new year, US Table Tennis players! Tournaments coming up in January next weekend. Table Tennis New Year Resolution?